The best thing about this semi-short animated film are the visuals. “The Garden of Words” looks absolutely gorgeous. 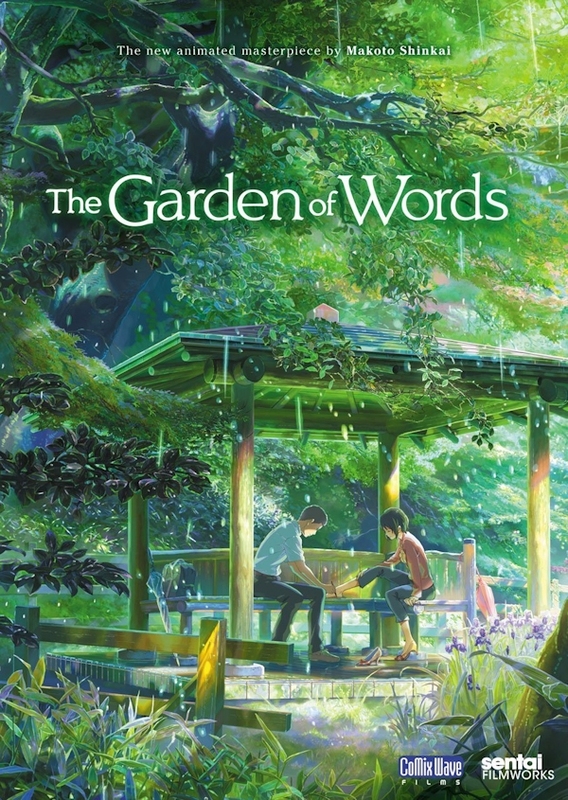 While I wouldn’t call myself the greatest expert when it comes to animated movies – especially anime – I have seen my fair share, and “The Garden of Words” definitely ranks up there with the most beautiful animated films that I’ve seen in my entire life. The flickering lights stood out for me in particular, but the look of the movie in general is just stunning. But it’s not just the animation itself. I also liked how they showed the progression of time via the same shot of a tree, which showed the change of seasons. Another shot that stood out for me were the umbrellas that approach one another. I also liked the setup, and think that it did a good job portraying the feeling of falling in love with another person, in the way that Takao longed for rain just to see Yukino again. Around the halfway mark, however, the movie starts to stumble a little [SPOILER] (especially with the relevation that Yukino is a teacher at Takaos school)[/SPOILER], and I believe that when it nears the end, it almost drops the ball completely. Takaos speech to Yukino, while obviously coming out of hurt, was so vile and hateful that it irritated me considerably [SPOILER] when she threw herself into his arms afterwards [/SPOILER]. Also, I could have done without that kitschy end song, which for me actually ruined the nice, romantic atmosphere of the movie, because it was just so over the top. However, the nice beginning and the great visuals mostly made up for the struggling conclusion. This entry was posted in /slash, cinema 2014, movie reviews and tagged anime, japan, The Garden of Words. Bookmark the permalink.